The lawyer for the train driver charged in the deadly Lac-Megantic disaster says prosecutors are seeking to prevent his client from having a preliminary inquiry—a move he argues will keep the defence in the dark on the Crown’s evidence. Defence attorney Thomas Walsh said the Crown informed him Wednesday it will seek a preferred indictment, which would fast-track the high-profile case past the preliminary hearing. Train driver Tom Harding and two other railway employees are each facing 47 counts of criminal negligence causing death—one for each victim of the July 2013 oil-train derailment in the Quebec town. A conviction carries a maximum life sentence. It’s kind of a low blow. Walsh stressed that stripping Harding of a preliminary hearing will block lawyers on both sides from hearing certain witnesses and deciding which parts of their testimony is credible. “It’s not a nuisance, a preliminary inquiry—it’s a way of a guy being able to find out what case the Crown has got against him and to act accordingly,” said Walsh, who was informed about the Crown’s request in a letter. Preliminary inquiries, he said, save time, adding that the Crown’s decision does a huge disservice to the administration of justice. A spokesman for the prosecutor’s office said Wednesday, March 11, he couldn’t comment about something that had yet to be presented in court. Speaking about preferred indictments in general, Jean-Pascal Boucher said they can be requested, for example, to serve the public interest by reducing unnecessary delays. Walsh alleged the goal of the Crown’s request is aimed at depriving Harding of a preliminary inquiry, most likely because prosecutors don’t want the weaknesses in their case to show too early. He said the preferred indictment in Harding’s case will be difficult to contest because he didn’t know the Crown’s decision-making process behind the request. Harding was set to appear Thursday in a Lac-Megantic court to have a date set for the preliminary inquiry, but Walsh said it was cancelled following the Crown’s request. Harding, he added, will be given a new date to appear before Quebec Superior Court. Harding has asked for a trial by jury. 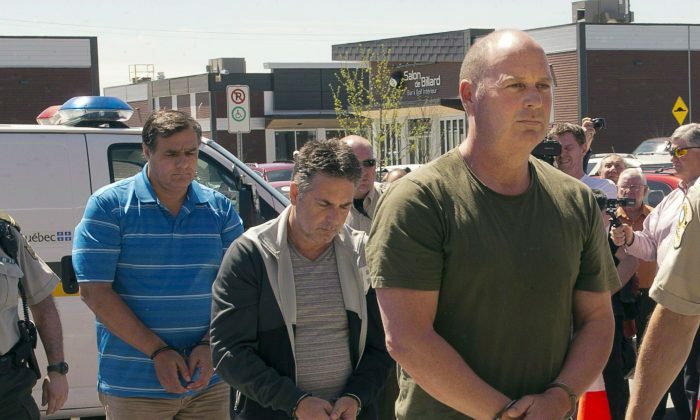 Walsh said he didn’t know if the Crown was also seeking preferred indictments for Harding’s co-accused: railway traffic controller Richard Labrie and Jean Demaitre, the manager of train operations. Last May, the three men each posted $15,000 bail after appearing in a Lac-Megantic courtroom, not far from the derailment site. On July 6, 2013, Harding parked the tanker train for the night uphill from Lac-Megantic. The train broke loose, roared downhill toward Lac-Megantic and bounced off the tracks in the middle of town. The explosion set off huge fireballs that wiped out much of the downtown core.